Golf injuries are caused primarily by repetitive overuse, poor physical conditioning, lack of appropriate warm-up and technical swing errors. According to the American Physical Therapy Association (APTA), awareness of proper posture and the importance of fitness and flexibility are just as important for weekend golfers as they are for the pros. 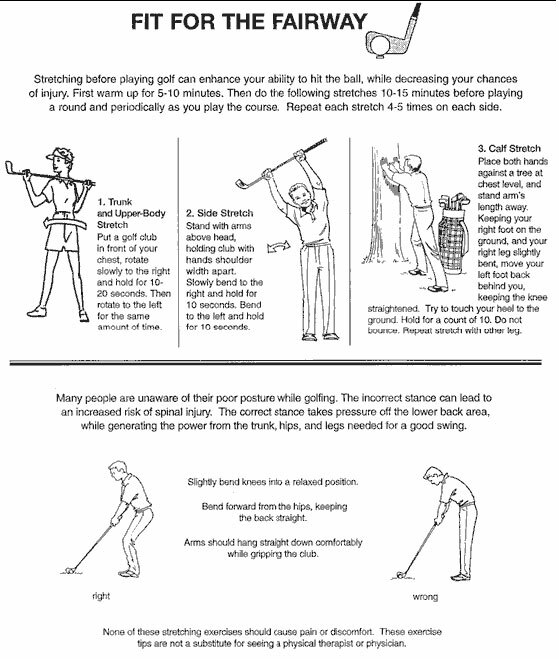 Below are a few stretches and tips to take into consideration before hitting the golf course.